Sputnik discussed the potential for the dialogue at the gathering with Professor Beatrice Heuser, Chair of International Relations at Department of Politics, University of Glasgow. Sputnik: What problems in NATO-Russian relations could this forum realistically attempt to solve in your view? How much is there will for dialogue? Beatrice Heuser: I think it is very good that there are many different channels in which dialogues can possibly be pursued again. 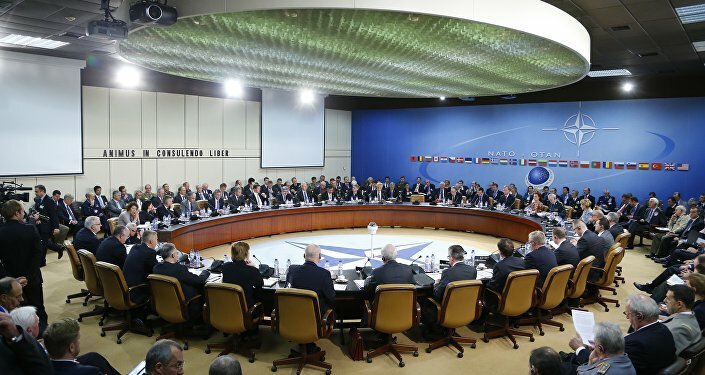 There is of course next to the NATO-Russia Council, also the Organization for Security and Co-operation in Europe, but all the dialogues there, all the exchanges there are very much in the public domain, which means that it is much more difficult for diplomats to be diplomatic, to say things which might be more concessional, which might work when you're trying to find common ground with opposite numbers. So it's very good to have the NATO-Russia Council as well, where diplomats can do their job properly and can actually get away from this set text that they normally have to present in places like the OSCE. Sputnik: One of the issues to be raised at the meeting is the United States' tentative withdraw from the INF agreement. How likely is the United States to proceed with this, or is it just a tactic to renegotiate it? Beatrice Heuser: I think you see President Trump the way lots of Europeans see him, mainly as somewhat doing his own thing and doing that in a detached away (without) any rational context there. Let's put it this way, his advisers tend very much to try to find more rational contexts and more rational reasoning for their actions. There we've had some rather good feedback, from the US National Security Advisor Bolton's visit to Moscow. He came back saying that in Moscow he had learned, of course, that Russia had to also be concerned about its Eastern frontiers and that there was a much more complex picture of the international situation with diverse countries, obviously, including China having nuclear weapons, and that it might even be a first step to renegotiate something like an INF treaty that would also include China. 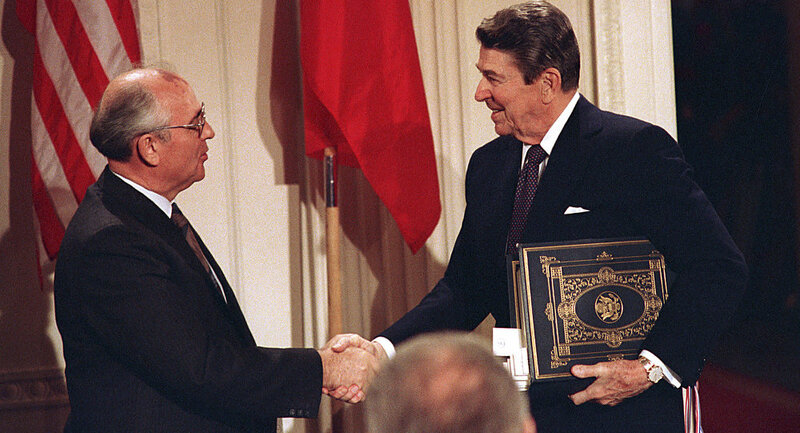 Now that, of course, would be absolutely wonderful and an extraordinarily good step forward, so out of the ashes of saying that the United States might pull out of the INF treaty, which might be one of Trump's very sudden and very unilateral declarations, which was not actually discussed with anybody else, might still come something very good. Because I think it would be a brilliant thing to have China included in the new INF treaty. Sputnik: The meeting coincides with a major NATO military exercise; what do you make of the timing of this particular war game operation and its message? It's an interesting thing that they are actually negotiating, but they're also having military exercises in tandem? Beatrice Heuser: Yes, but that's a pretty regular event. The military exercise — Trident Juncture — is one that has been held regularly. It's not that large, it's 50,000 people compared with the very large Vostok exercise, which took place very recently with 300,000 people, so it's nothing to write out about. On the other hand, it is just like Vostok, a very good way of trading security-building measures with neighbors. For example, as you remember, Vostok was held together between Russia and China which I think is admirable, which is a very good way of making sure that any other side doesn't misunderstand you, that your neighbors get on with you and know what you're about, and in a similar way Trident Juncture is of course bringing in, in this case, some of the non-aligned countries around it; we have to give the Swedish Army something to do every now and then. Of course, it's just one of the many exercises that are held, you will recall there's the Naval exercises, BALTOPS, that in the past even included Russian forces. PACRIM exercises that the Americans have held included China and they still include China, So this is a very regular thing that simply happens at regular intervals. This year there are a little bit more people than in the previous exercises, but other than that, it's the usual: here we are, we're cooperating, let's try to adopt common standards, but a bit of a deterrent message as well. Sputnik: Just a comment, Beatrice, on the Canadian Navy strategy. We're hearing that the Canadian Navy is looking to purchase further warships to fight enemy submarines amid concerns of Russia's alleged increasing military presence in the Arctic region. What's your particular take on the move and the allegation? Beatrice Heuser: My particular take on these particular ships is that they're not exclusively there to fight submarines but also to prepare for the fact that the Arctic area is going to be much more of a passageway for shipping overall with ice receding, which is a horrible climate change effect of course, and this is just a normal step of modernization, which would happen regardless of whether one's particularly worried about Russian naval forces or Russian submarines. Of course, Russia does have a bit of a track record, I will remind you of the rather amusing 1981 situation, that's the most prominent one, the 'whiskey on the rocks' adventure, where Russian submarines are chasing straight into other people's waters, but I don't think that would've been a priority for the Canadian Navy. To me, it looks very much more like a step in modernization that's coming at regular intervals and that is now particularly influenced by the Arctic ice receding and that area becoming much more of a focus of international attention. The views and opinions expressed in the interview are those of the speaker and do not necessarily reflect those of Sputnik.